There is always someone behind the scenes. It's the unsung heroes, the inconspicuous figures that have a hand in holding everything together and creating magic. This very concept is formalized and honored by the Rock Hall in the form of the Ahmet Ertegun Award (previously called "Non-Performer"). The Rock & Roll Hall of Fame's website defines it as an honor for "songwriters, producers, disc jockeys, record executives, journalists and other industry professionals who have had a major influence on rock & roll." Previous recipients of this award (granted under either "Non-Performer" or the later label, "Ahmet Ertegun") include Alan Freed, Jerry Wexler, Bill Graham, Kenny Gamble and Leon Huff, Clive Davis, Quincy Jones, and, last year, Bert Berns. While it's unclear if the Hall will give the Ahmet Ertegun Award out during the ceremony next April, it's been a regular feature, and reasonably likely. Time to shine a light on two deserving icons—one a record label founder, artist mentor, and producer extraordinaire, the other a unique studio wizard with a vibrant discography of his own. A more significant figure in the American recording industry in the last 30-plus years is tough to think of. 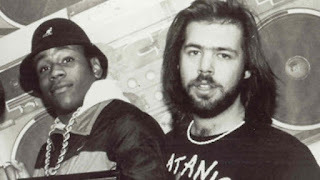 Co-founder of Def Jam Records with Russell Simmons in 1984 out of his NYU dorm room, Frederick Jay "Rick" Rubin's early activity involved releasing LL Cool J's first single "I Need a Beat," and signing Public Enemy and the Beastie Boys (both acts now Rock and Roll Hall of Famers). The label head and producer was present at one of the major convergences of rap and rock, 1986's "Walk this Way," where Aerosmith and Run-D.M.C. were forever joined in record-scratch matrimony. If that wasn't enough, he produced Slayer's Reign in Blood the same year. With an ear for hip-hop, metal, rock, folk, country, and whatever it is the Mars Volta does, Rubin proceeded to form American Recordings and serve as co-head of Columbia Records. But ultimately, it's the astounding list of musicians that he's manned the boards for that makes him such an airtight case for the Ahmet Ertegun award—such varied, multi-platinum artists as Red Hot Chili Peppers, Johnny Cash, Tom Petty, Jay-Z, AC/DC, Dixie Chicks, Adele, and scores of others. Rubin has been a major force in popular music and something of an expert at artist reinvention and revitalization; from the Beastie Boys' Licensed to Ill, to Aerosmith's reboot, to the Chili Peppers, to Cash's priceless late-career triumphs, the producer has overseen it all. A ubiquitous icon of the industry, Rubin is very much due for Rock Hall recognition. 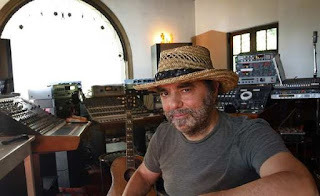 Given his decades-long string of shimmering, atmospheric albums, there's certainly an argument for the gifted, Quebec-born songwriter-guitarist-arranger Daniel Lanois to enter the Rock Hall as a performer. But wow... does that seem like a long shot, or what? Not as remote a possibility, however, is his receiving the Ahmet Ertegun Award for his sterling, otherworldly production work. Here's a multi-hyphenate that has earned his spot in the Hall. It was a slow start for Lanois; after a few years in the early '80s working alongside his brother Robert offering buzz-worthy production services in Hamilton, Ontario, Lanois began a collaborative relationship with none other than Brian Eno, and he and Eno went on to co-produce U2's The Unforgettable Fire. After the Fire, Peter Gabriel came calling, and Lanois produced the blockbuster album So, as well as U2's 1987 soaring masterpiece The Joshua Tree. Other highlights include his career-boosting work for Bob Dylan (Oh Mercy, Time Out of Mind) and his production of Emmylou Harris' Wrecking Ball. Along the way, Lanois' genius was also poured into his own records; he's forged his own highly-regarded discography, from his debut Acadie to the harrowing score for the movie Sling Blade to 2016's Goodbye to Language. History, and the Rock Hall, may yet end up canonizing him for his high-profile production work, and that's not at all a bad thing. This sonic conjurer would be a totally worthy Rock Hall honoree, however it happens. Brian Eno, who you mention in his connection to Lanois would also be a great choice for this award given his work as producer and inspirational muse for David Bowie and with the Talking Heads. Though given his achievements as a recording artist in his own right, the newer award for "musical excellence" probably is the better route for him. At some point, as more and more of the alternative type of bands are inducted, Bruce Pavitt should be considered for the Ertegun award for his pioneering work as the founder of Sub Pop records. Thanks! Good call on Pavitt, and I fully agree on Eno. He's another truly deserving candidate for this award. I wonder if he gets in with Roxy Music eventually? I suspect he'll get in one way or another. Two great choices in an area that's either used too infrequently (only one last year for all three) or abused (Ringo Starr): the other induction categories. My own personal choices for this award would probably be Alan Parsons and Dr. Robert Moog. Parsons for his stellar work with The Beatles, Pink Floyd, The Hollies, and his own Project among others (he was nominated for 11 Grammys); and Moog for completely revolutionizing the instrumentation of popular music with invention and engineering in the realm of the synthesizer. Both great choices. It would be nice to see more than one individual get honored with this award each year. Bob Ezrin yet another name that comes to mind. Excellent choices, and a good choice of topic--the non performers don't get enough mention. Thanks! With only 5 performer nominees, the Ahmet Ertegun, as well as the other 2 categories - Early Influences, Award for Musical Excellence - seem to be standing out a bit more. I added this thought to my last blog post: If the official voters do in fact choose an all-male slate this year, does this give impetus to selecting females for the Early Influence and/or Ertegun slots, or (whispered) does the Hall make a substitution?